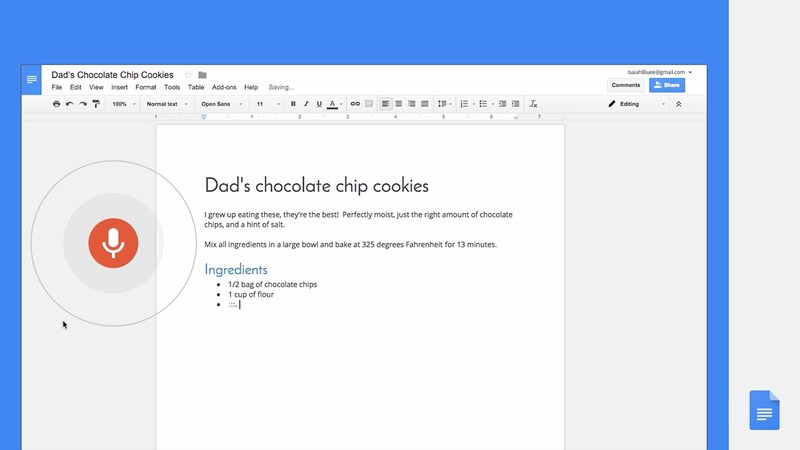 Users of Google Docs can now utilize their voice to not only dictate what they want written, but can comprehensively edit and format documents. Any editing or formatting feature available in docs can be commanded with your voice, such as heading settings, alignment settings, bullet lists, numbered lists, and more. For example, if making a grocery list or recipe, you can say “make a bullet list, add 1/2 cup of olives,” followed by “new line” and “new paragraph,” as well as pick up anywhere on the page simply by stating which word you want to continue from. The video accompanied with the announcement does a fantastic job at detailing what all you can do with the feature. Check out video, then try it for yourself.